I've always been enamoured with spy novels, so my appreciation of the current Interabang table highlighting spy stories will come as no surprise. I would make a terrible deniable operative, in no small part because I am completely open about my enthusiasm for cloak and dagger operations. In the shadow of the Kremlin or in the mountains of Afghanistan, covert actions taken by deniable commandos bring me a certain appreciation of the realities behind geopoltical machinations. And they’re fun to read. Readers may be familiar with my enjoyment of one particular spy novel, RED SPARROW. Most recently, I had the opportunity to read KREMLIN’S CANDIDATE, newly out this past February. Due in equal parts to the writing abilities of the Jason Matthews and his 33 years of CIA experience supervising active agents in denied area operations, the Red Sparrow Trilogy is astonishingly good. But I would be remiss if my ardor for spy novels began and ended with one series! Our spy table has a definite Russian bent, in part due to the seemingly effortless Russian ability to trouce their opponents at the game of human intelligence gathering. From the USSR to today, the KGB (in all of its permutations) and their fellow Russian intel officers labor to undermine the enemies of the state, much as the CIA or MI6 do for their respective countries. For more spy novels that have a Russian flair, check out GORKY PARK. If you’re a fan of more historical spy novels but tired of the old dichotomy of US v. Russia, you might enjoy MUNICH, an exploration of the power and danger of those aides working for high ranking politicians on opposite sides of the Great Powers during the Munich Conference of September 1938. Alan Furst’s A HERO OF FRANCE explores the precarious world of a defeated Paris, occupied by quislings and Vichy traitors during WWII. For an Italian take on Resistance fighters in the waning days of Axis control, try out Martin Cruz Smith’s thriller, THE GIRL FROM VENICE. Alternatively, pick up a biting satire in OUR MAN IN HAVANA, about a vacuum salesman in 1950’s Cuba whose faked reports turn out surprisingly accurate. Or take a chance on a delightfully offbeat espionage caper with SPECIAL ENVOY by Jean Echenoz. I should note, in a node to transparency, that I will always have a special spot for any story that employs the narrative tool of an envoy, in large part due to Warren Zevon’s classic 1982 spy song, The Envoy. In spite of my benevolent appreciation of the envoy, Jean Echenoz delivers the goods with a rousing and humourous spy story run amok. Be they ever so humble, the spy novel is a genre dedicated to enjoyment and uncovering the hidden parts of the human character. 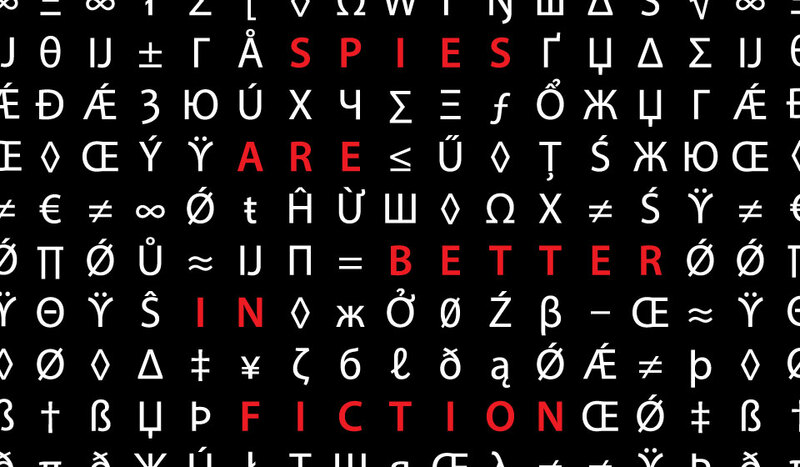 Noble or depraved, rollicking or deadly serious, we read spy novels to explore the dark parts of the world around us. Regardless, we should never become so serious that we forget to have a good time with the books we read! Come check out our spy table this week, and let us know what's your favorite spy novel.